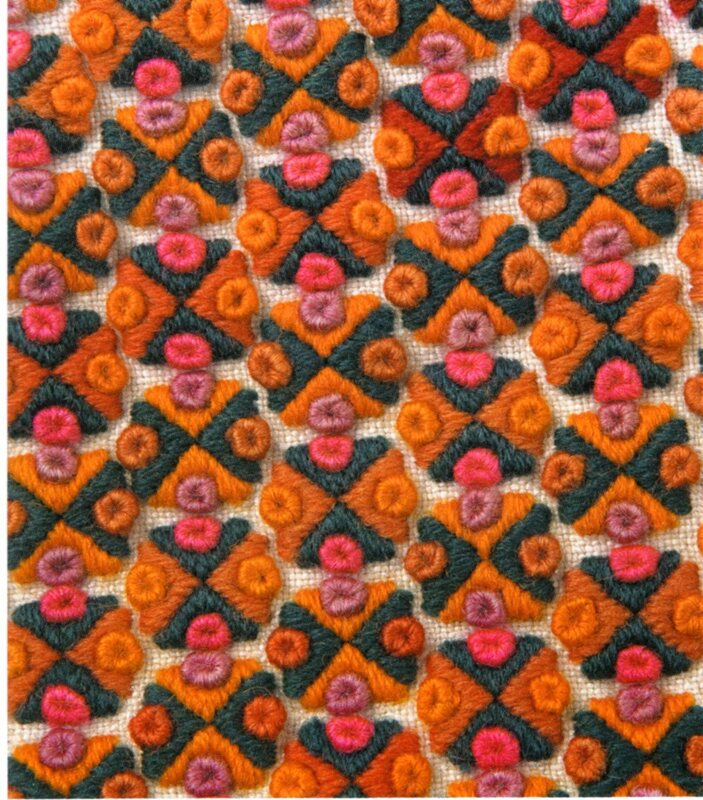 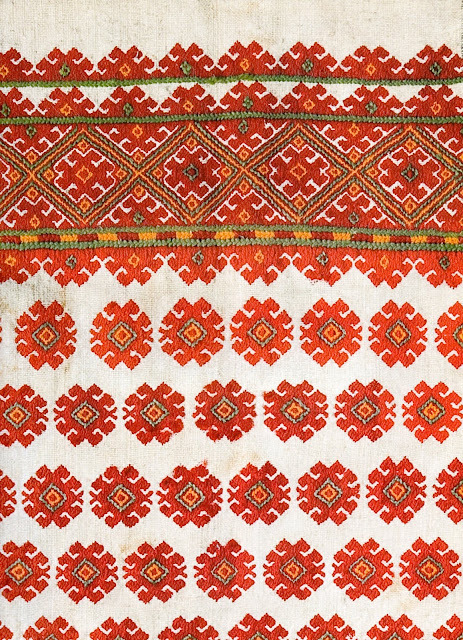 Today I will talk about a few variants of Hutsul embroidery which are clustered at the eastern edge of Hutsul territory. Here is a photo from 1938 taken by Roman Reinfuss in the village of Maksymets' which lies on the Bystrytsia Nadvirnaska river in the far west of Hutsulshchyna. 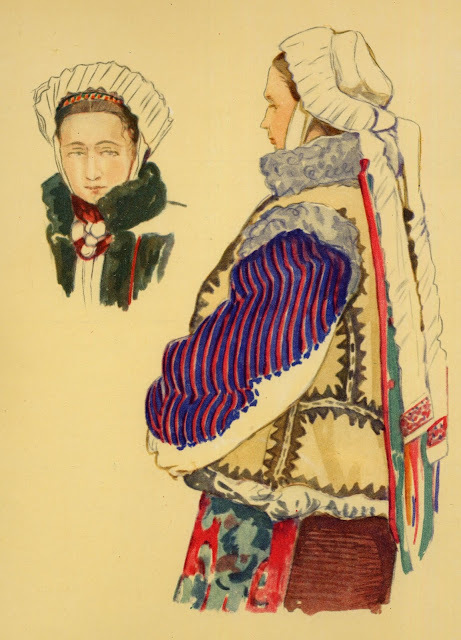 This 'newer costume' replaces the traditional double apron with gathered skirt and apron. 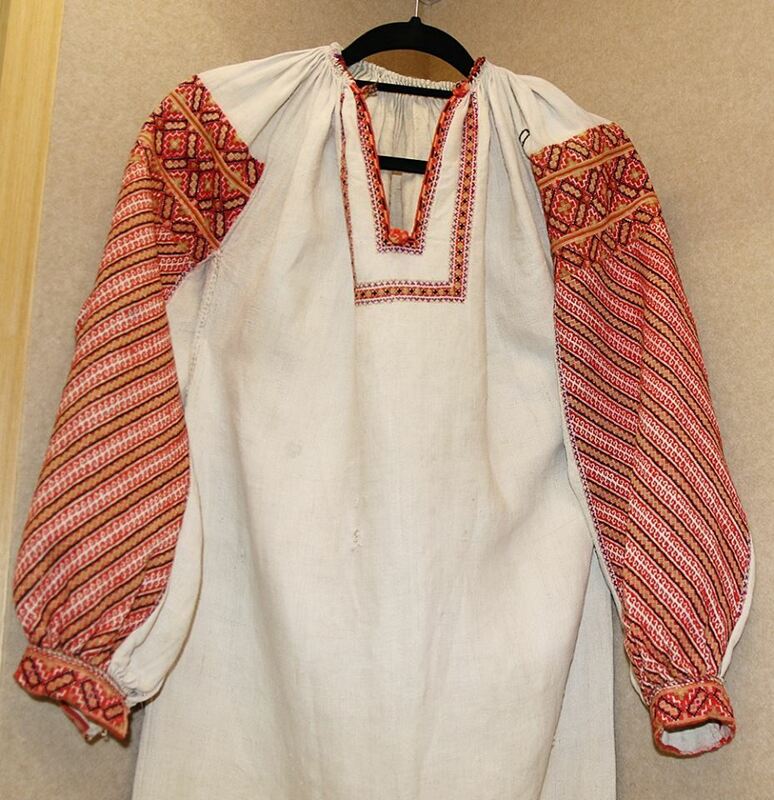 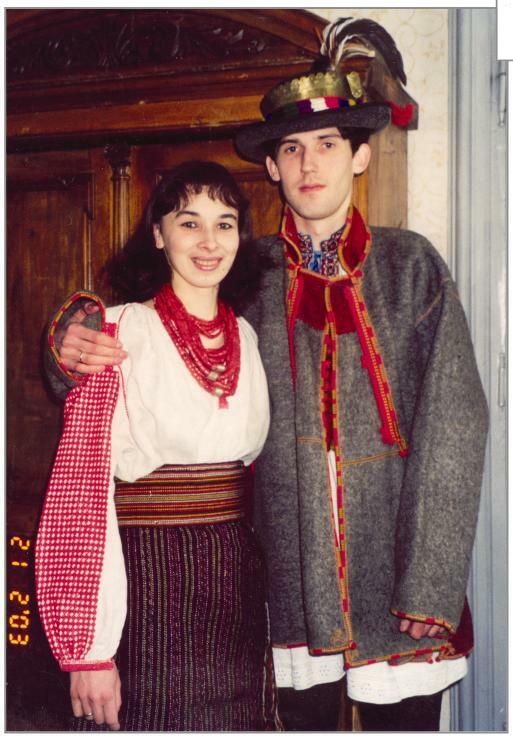 The embroidery is that traditional for Hutsuls, on the shoulder, cuffs, front and presumably the collar. 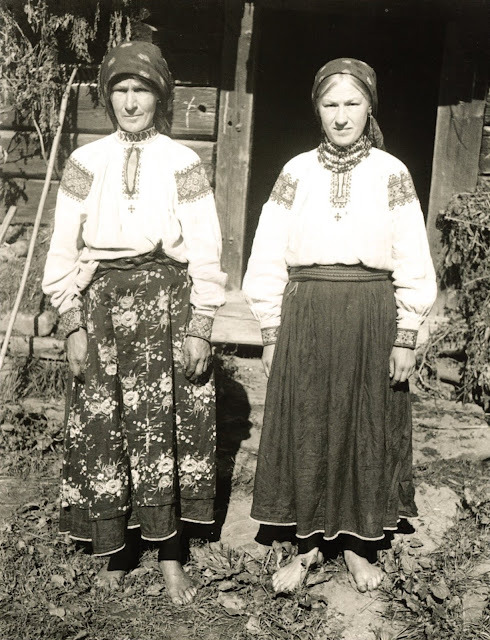 On the woman on the right you can see complex smock gathering above the cuffs and below the shoulder insets. 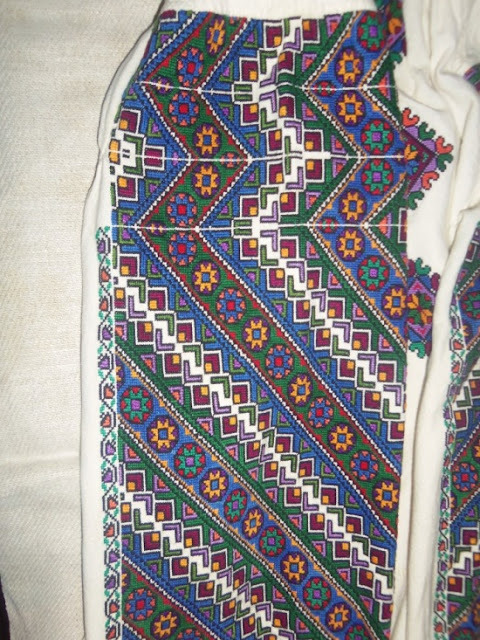 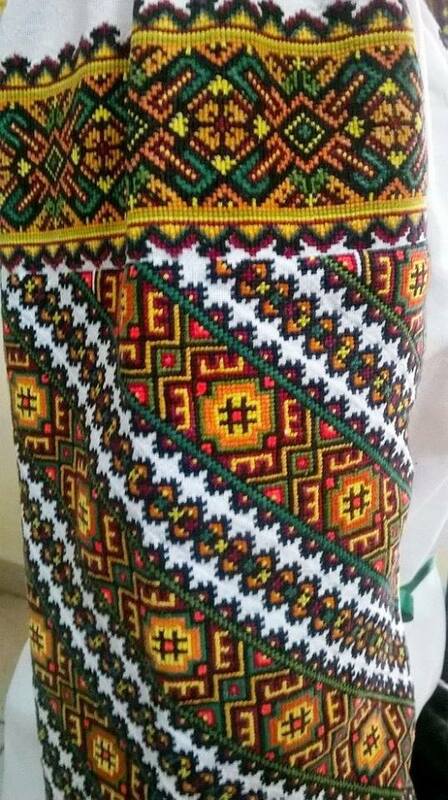 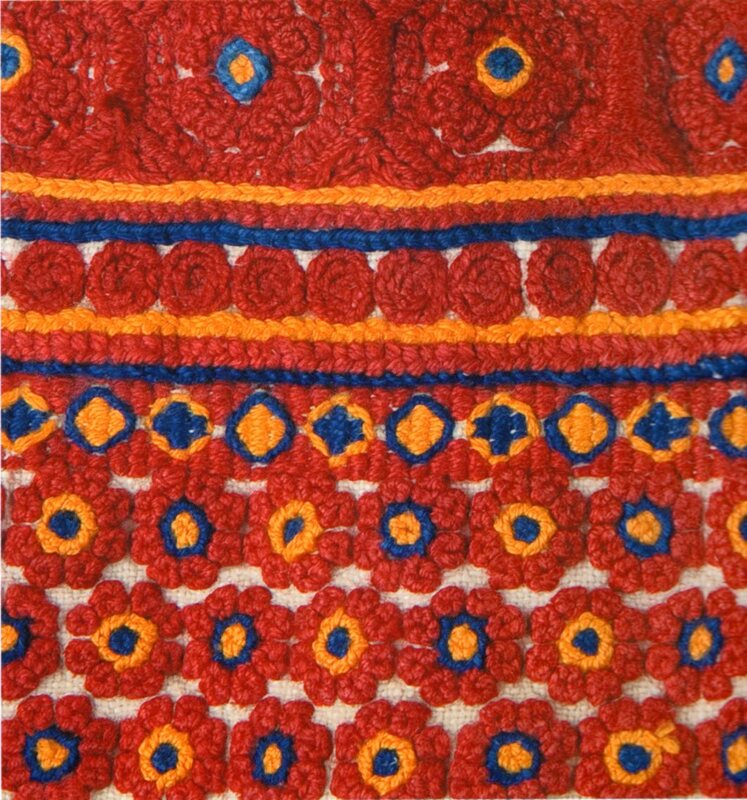 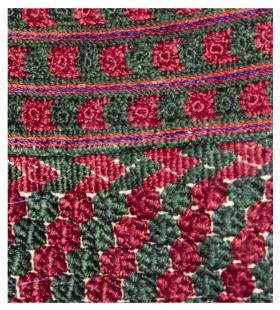 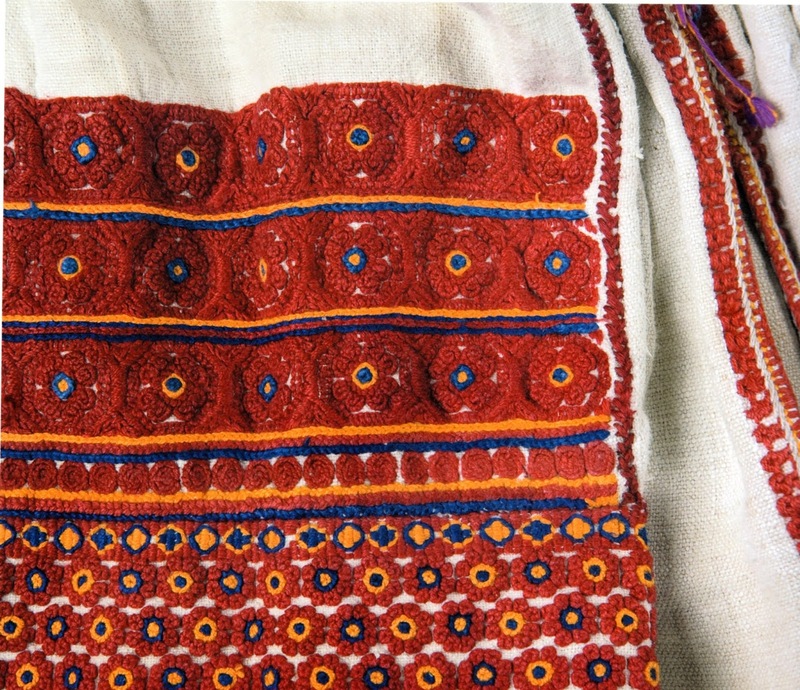 Most Hutsuls have this arrangement of embroidery. 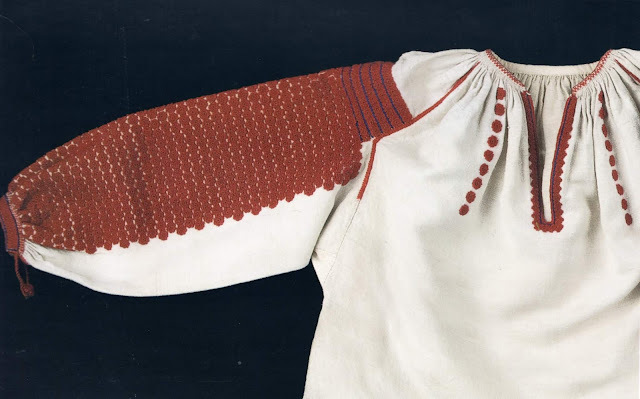 Recently some have made the band on the shoulder much wider, in the process making the shoulder and sleeve in one piece, but it remains one band. 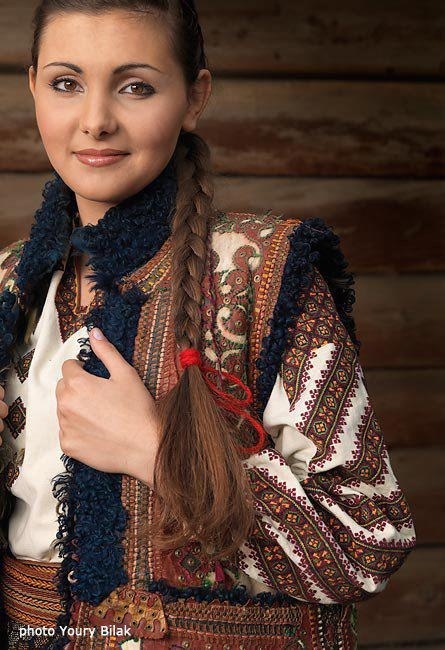 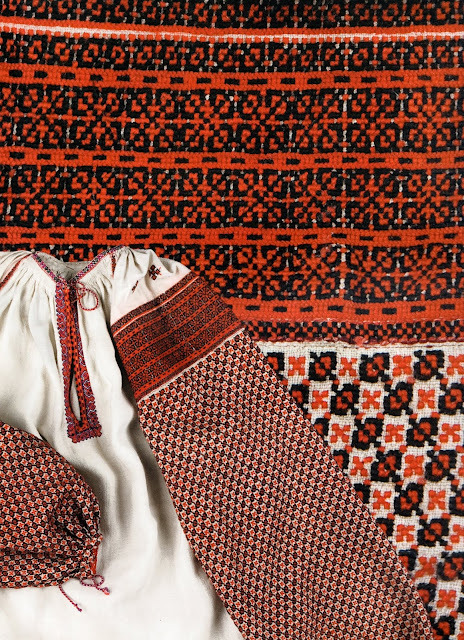 There are a few Hutsul villages which are renowned for exceptionally extensive embroidery, among which is Verbivets' which lies northeast of Kosiv. 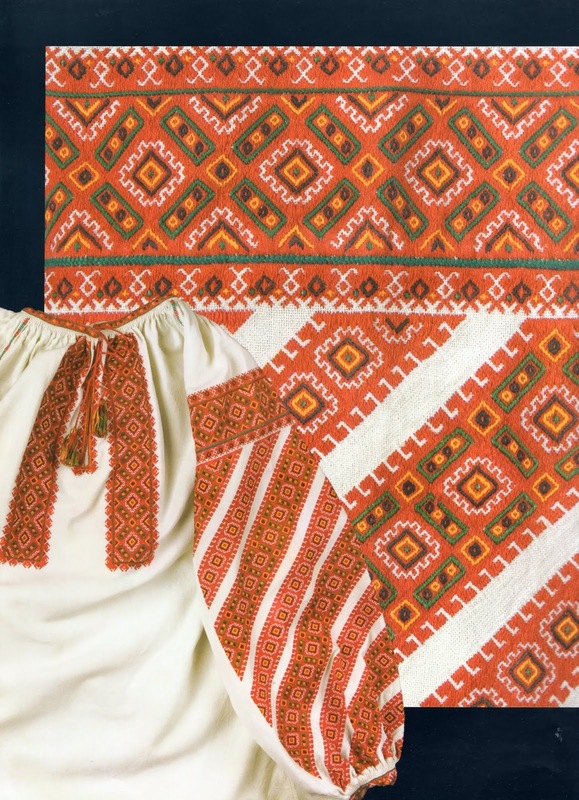 This costume is shown at the head of the article in a print by Kul'chytska. 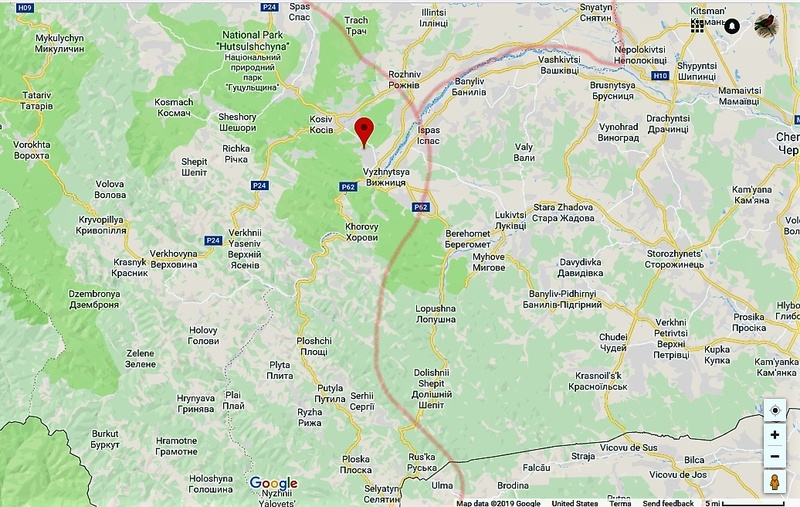 This is also true of some other villages in the immediate vicinity, Stary Kosiv, Stary Kuty, Pistyn, Smodna. 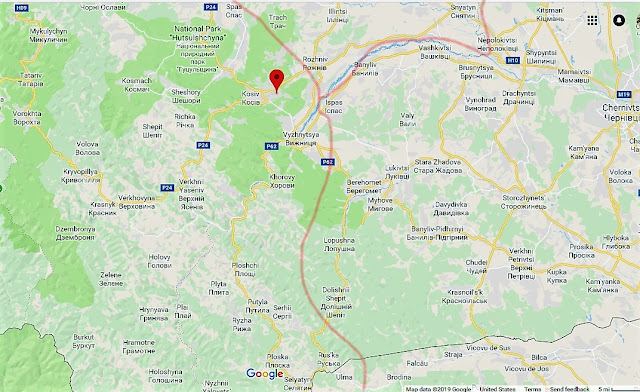 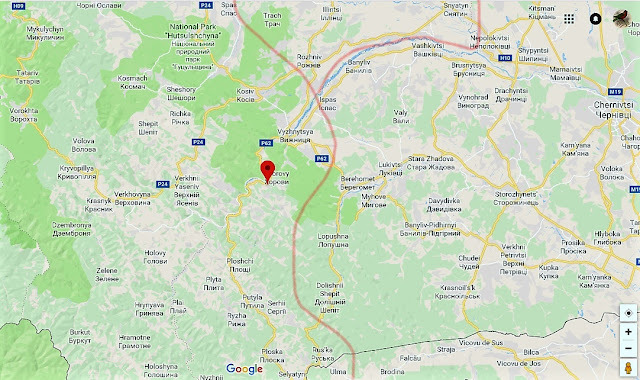 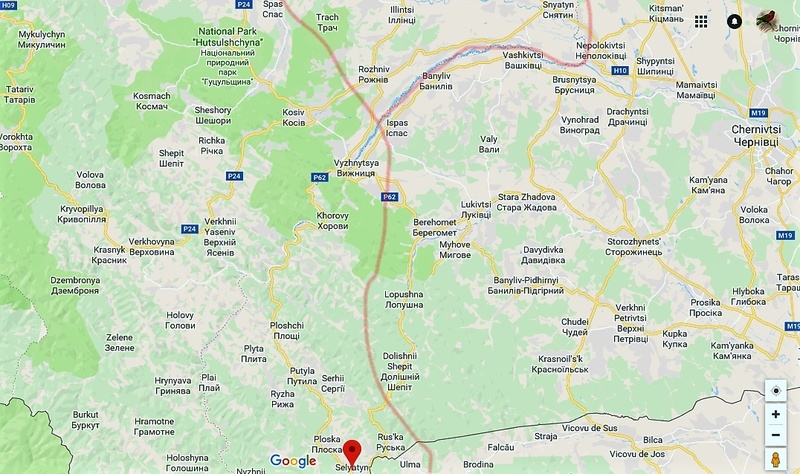 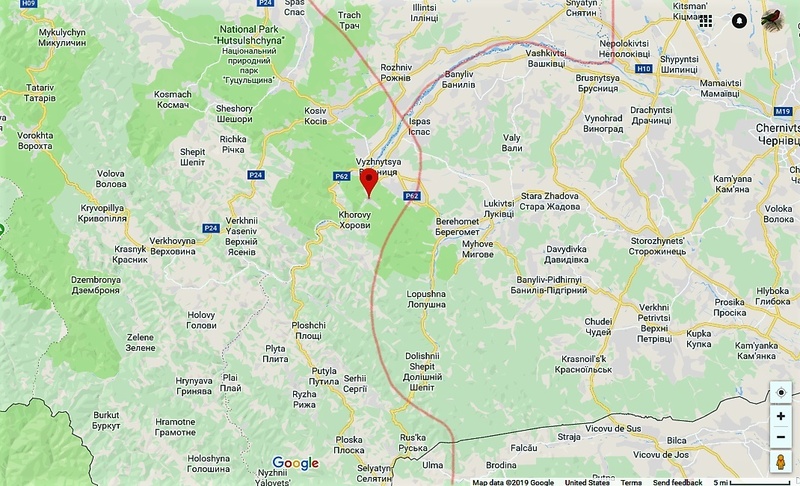 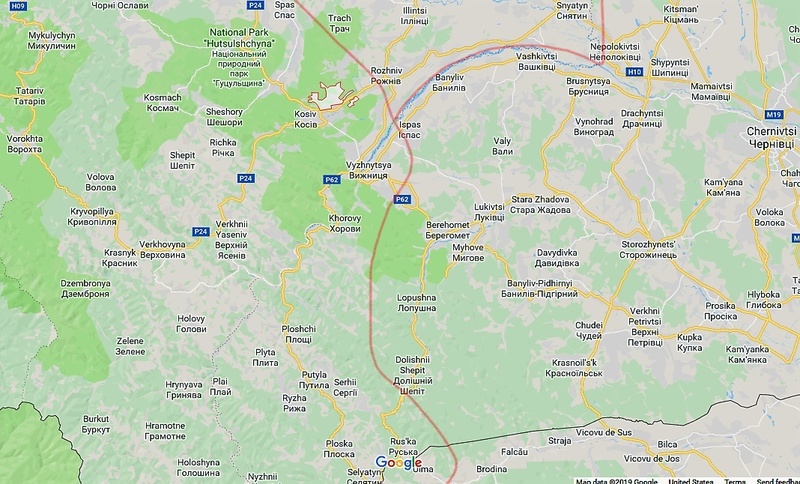 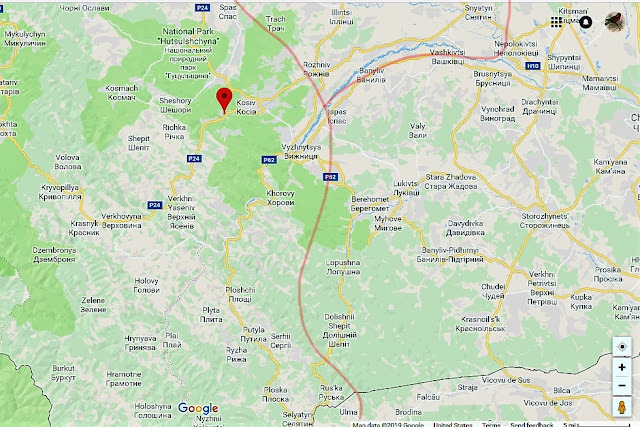 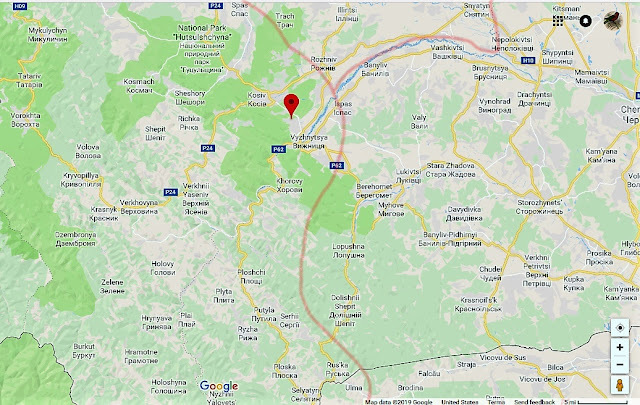 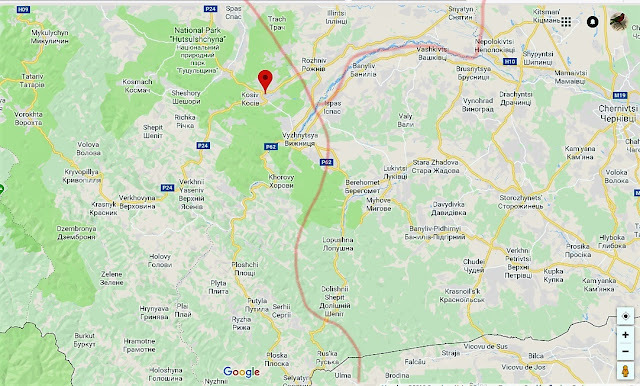 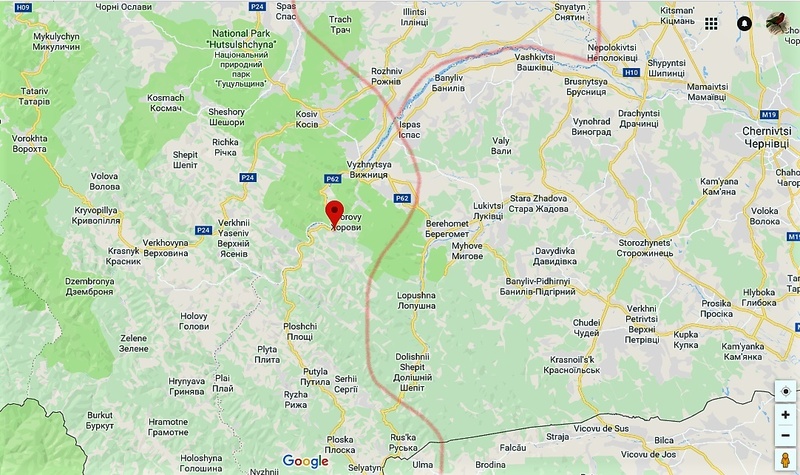 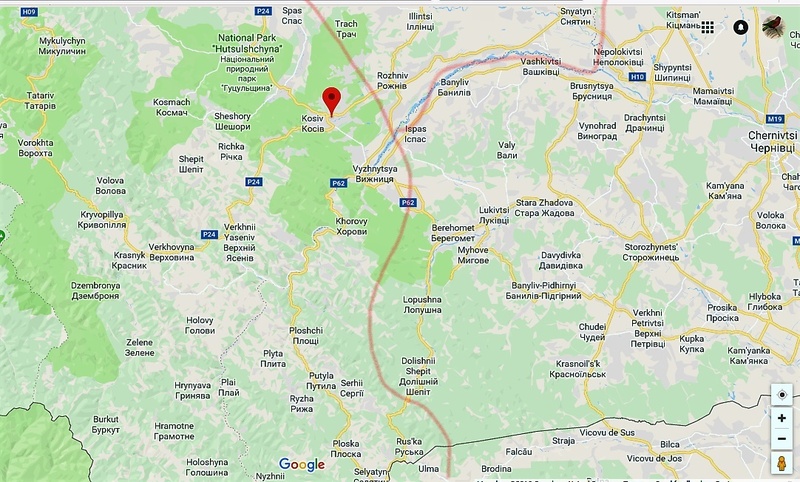 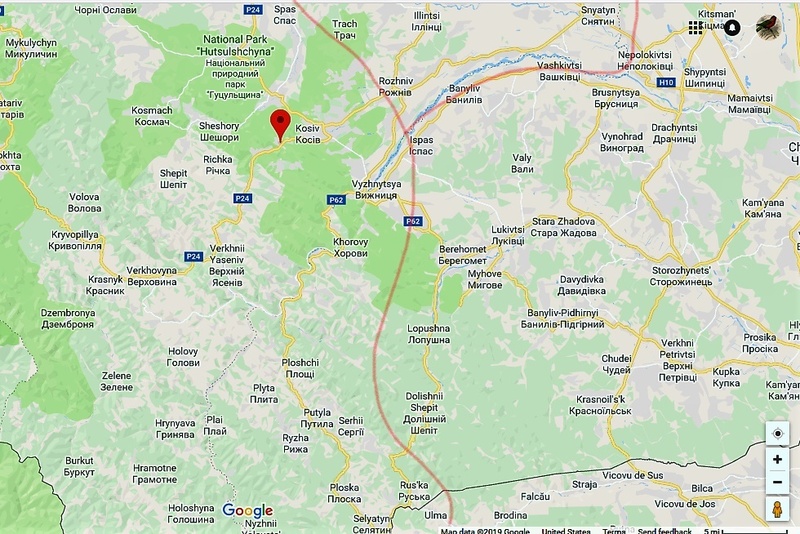 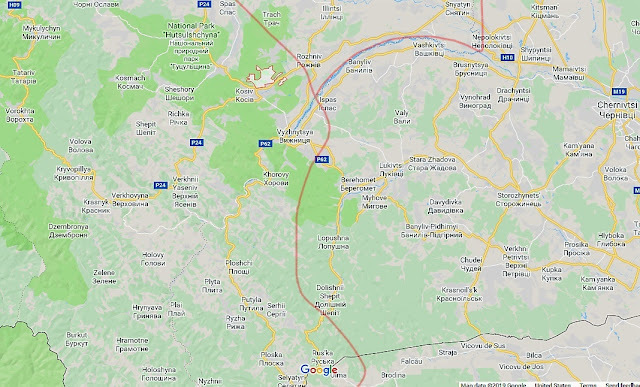 It is not often noted that these all lie right on the edge of Hutsul territory where it borders Pokuttia, and also lie quite close to Bukovyna. 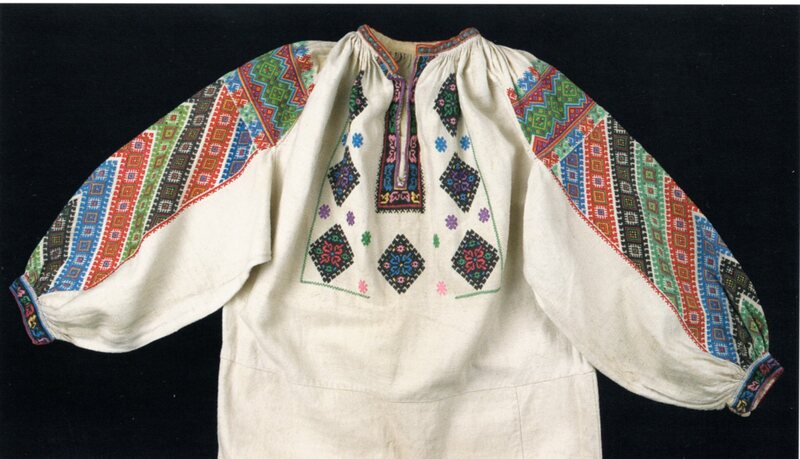 Another group of villages which have sleeve embroidery as well as that on the shoulder are Vyzhenka, Dykhtynets', Kyselytsia, Serhii, Putyliv, Ploska and Seliatyn, which all lie in the Putyla river valley, at the eastern edge of Hutsul territory in Cherniwtsi Oblast next to Bukovyna. 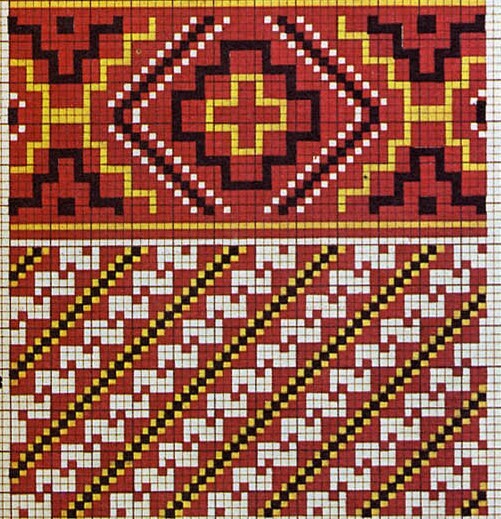 These designs have been recorded by Kolbenhier. 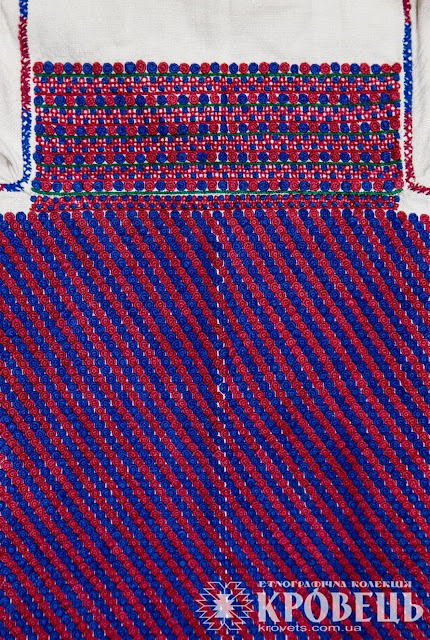 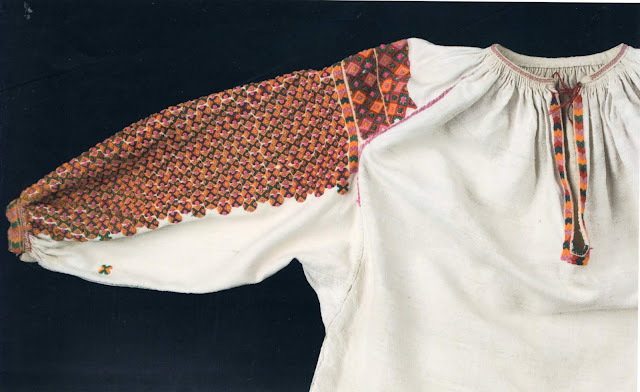 These types of chemises with embroidery over the entire sleeve tend to be overrepresented in museums and collections precisely because they are unusual. 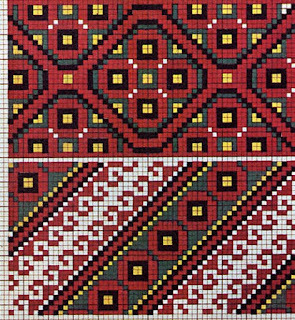 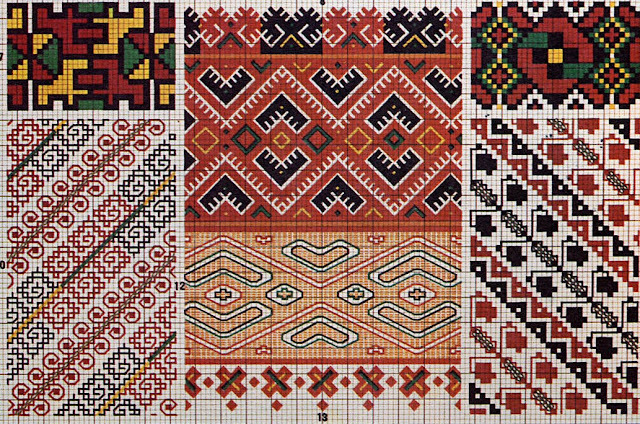 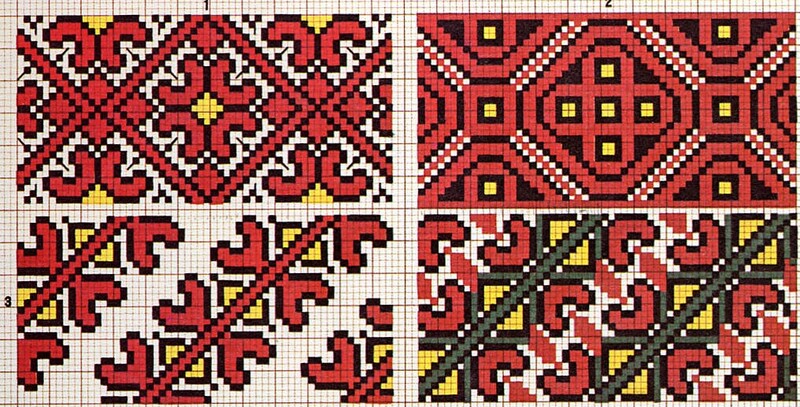 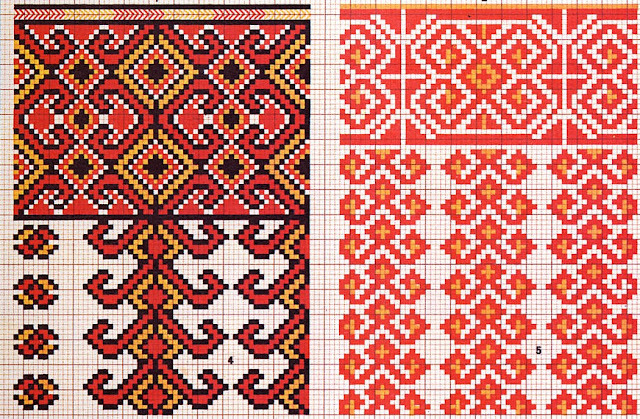 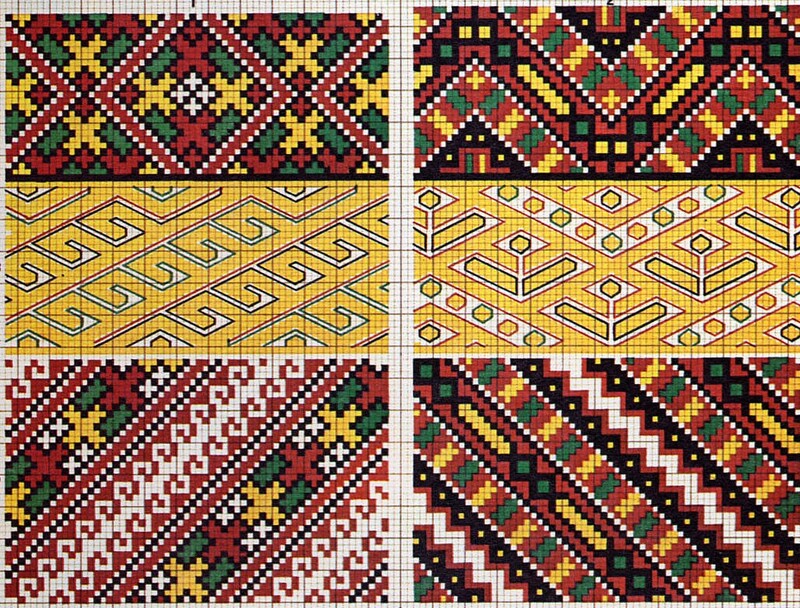 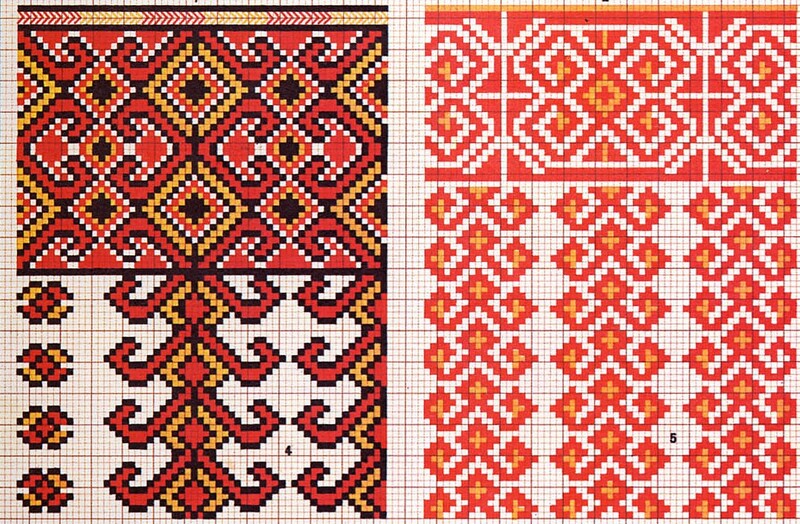 It seems quite clear from the distribution of these villages that this arrangement of embroidery is the result of influences from the population further east, Bukovyna and Pokuttia. 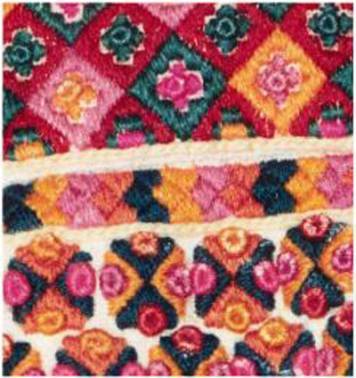 There they follow the three part canon of sleeve embroidery about which I have written before. This includes the embroidery on the sleeve inset, the morshchanka, which contrasts with the rest of the embroidery and lies at the top of the sleeve next to the seam, and vertical or diagonal stripes down the sleeve itself. Here is a chemise from Bukovyna. 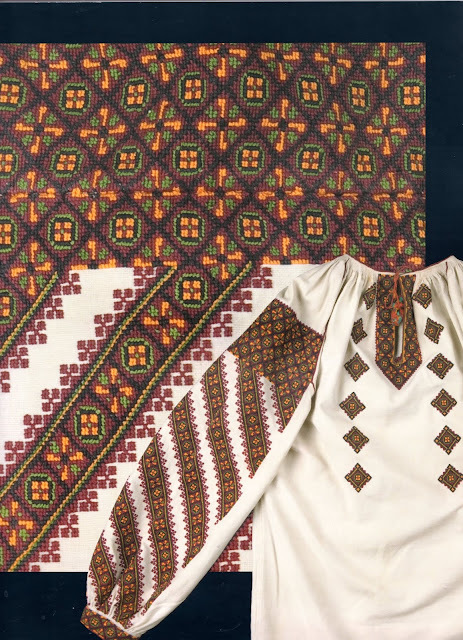 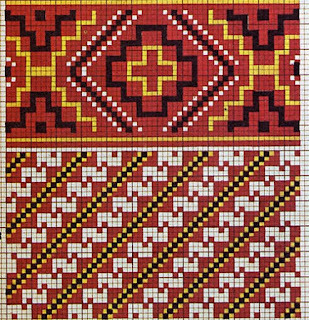 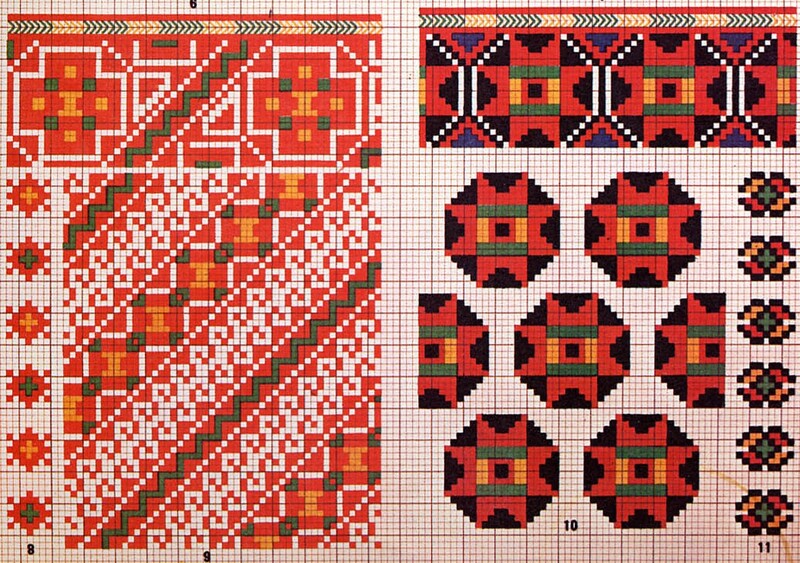 The Hutsuls adopted this in their own way, omitting the morshchanka embroidery, as in the example from Verbovets' above, or substituting it with smock gathering, which they already did, as in this example from Pistyn'. I was not able to find a map which showed what I wanted, so I made a series of screenshots from Google maps, and highlighted the appropriate village in each one. 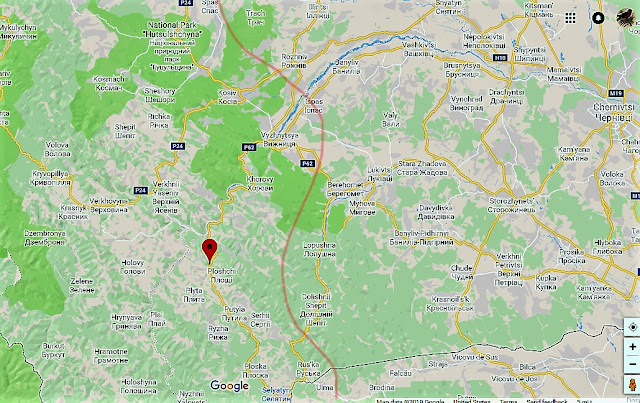 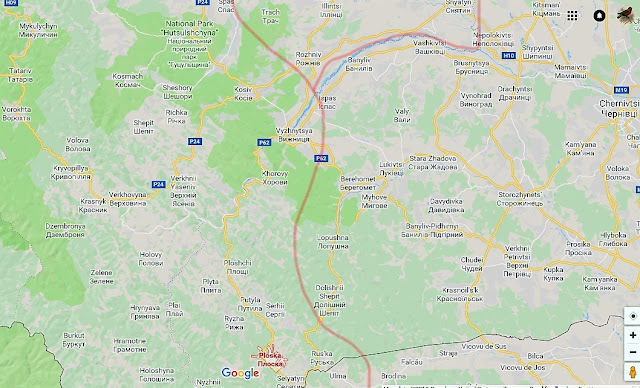 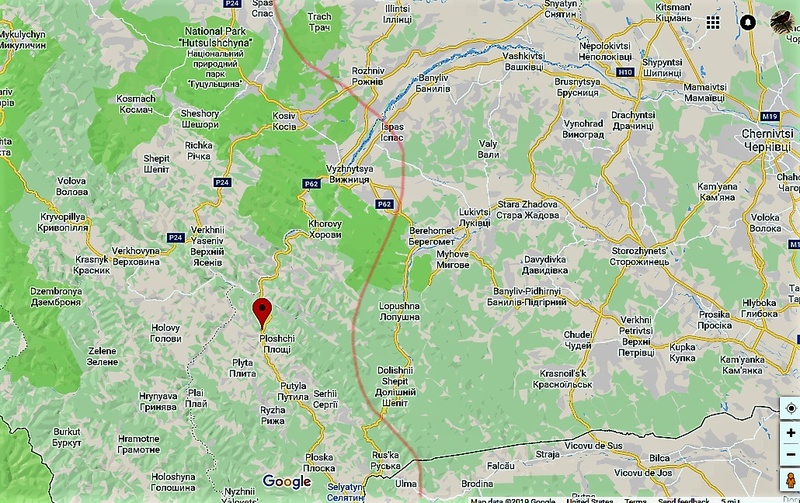 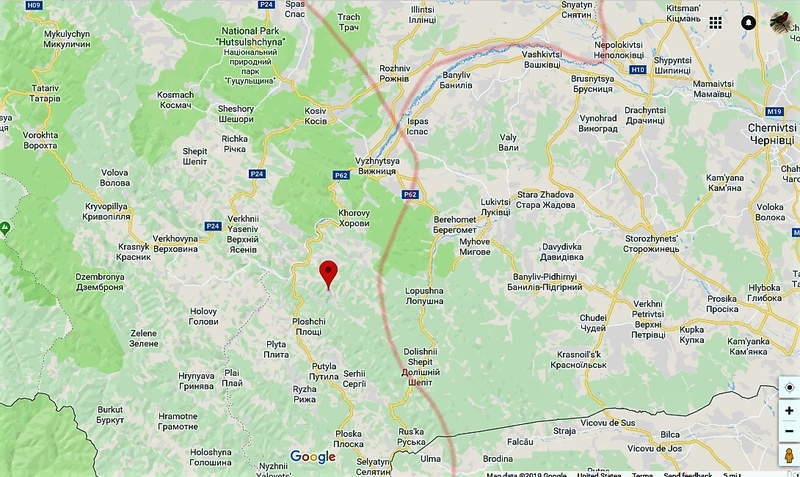 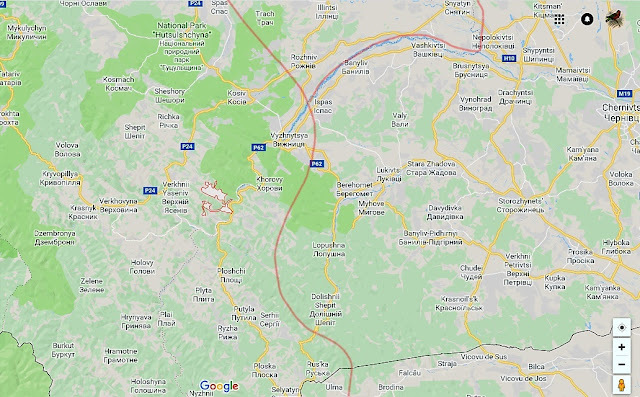 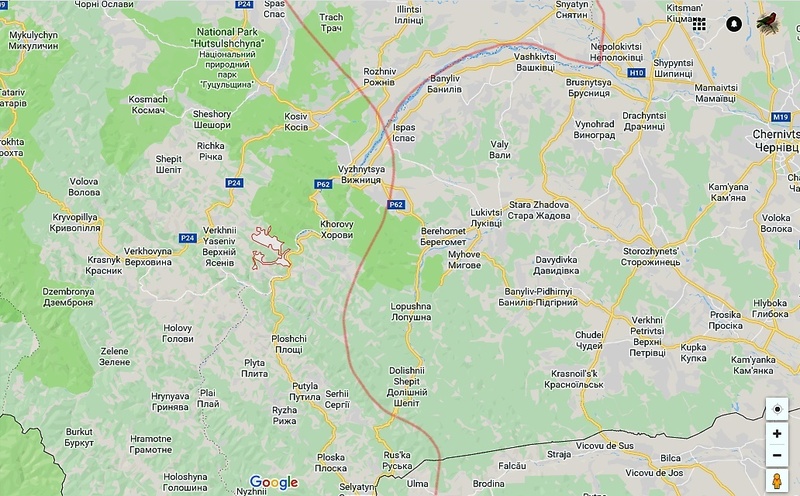 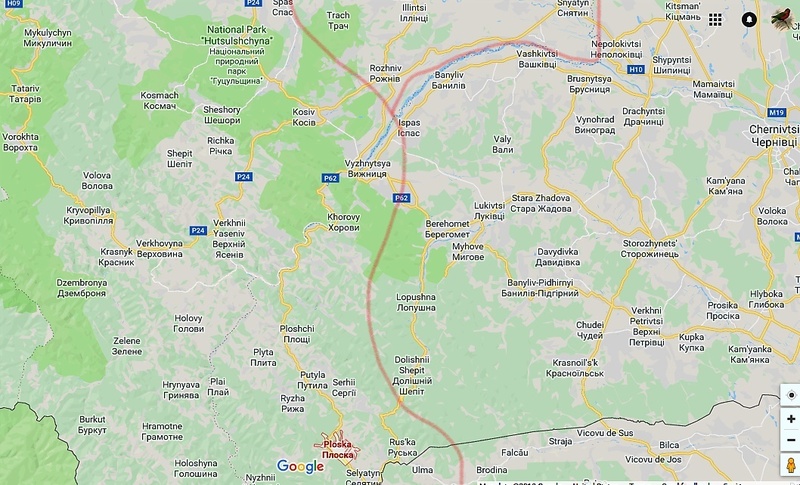 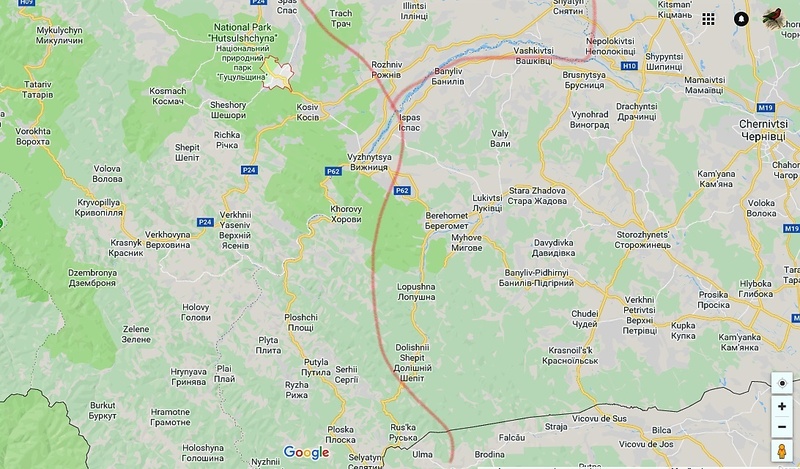 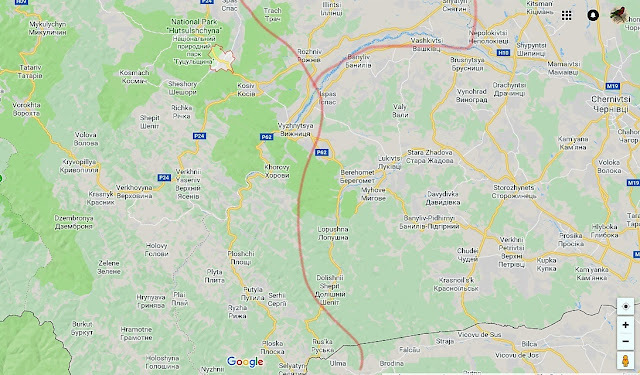 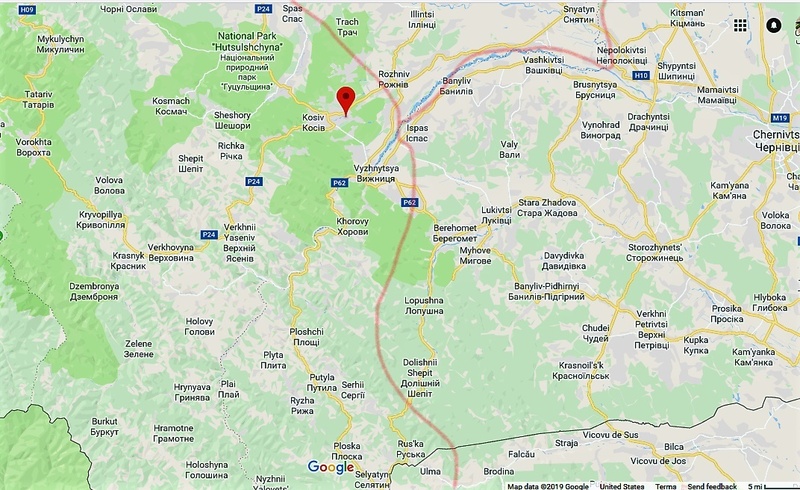 Each image is the same part of the map, with Hutsulshchyna on the left, Bukovyna on the right, and Pokuttia at the top. 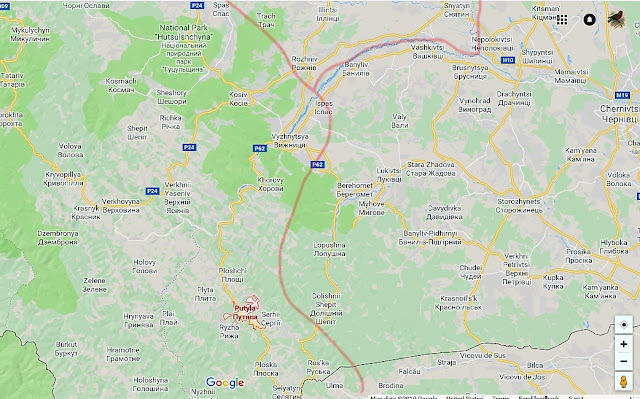 I have drawn lines at the approximate regional borders. 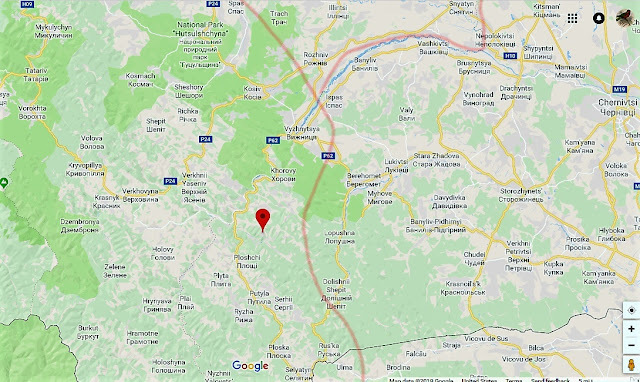 I will show the location of each village mentioned. 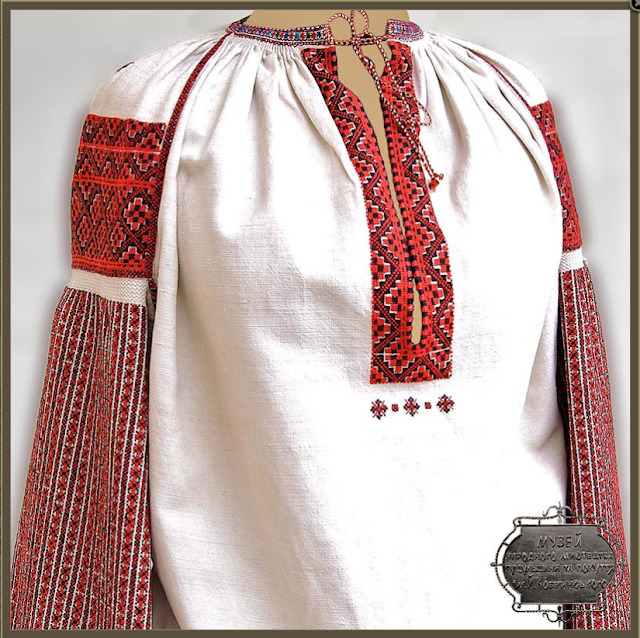 In Pistyn they specialize in embroidering in red and black. 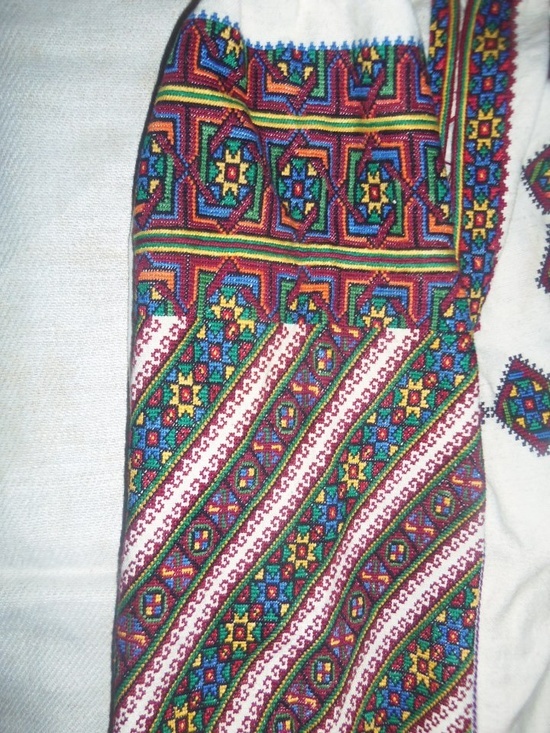 Here is another example. 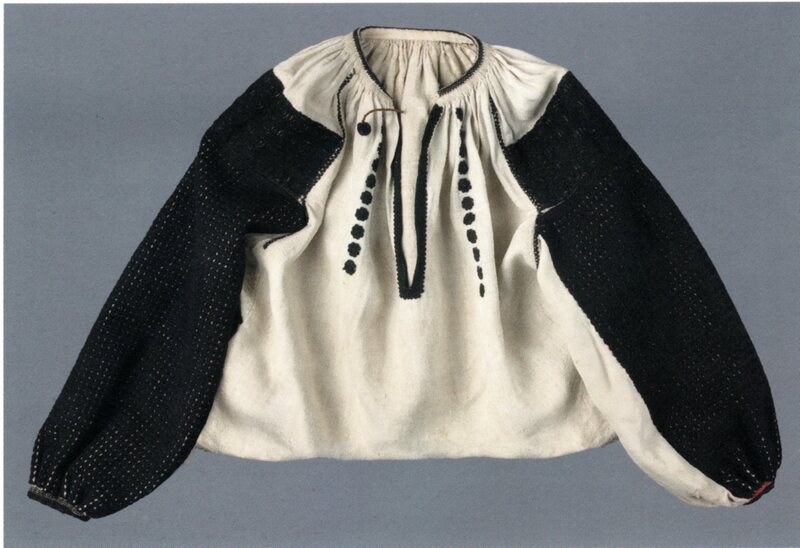 They did at times place a narrow band in the place of morshchynka like this chemise from Stary Kosiw. 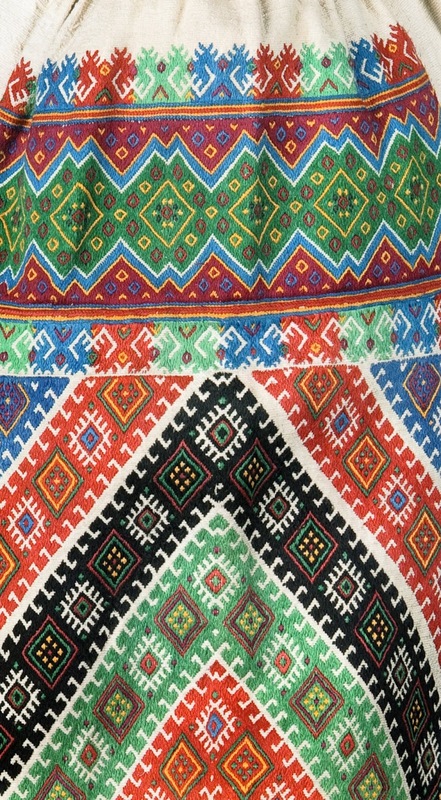 Outside of this northern group, many of these villages use more common Hutsul embroidery techniques like nyzynka and cross stitch. 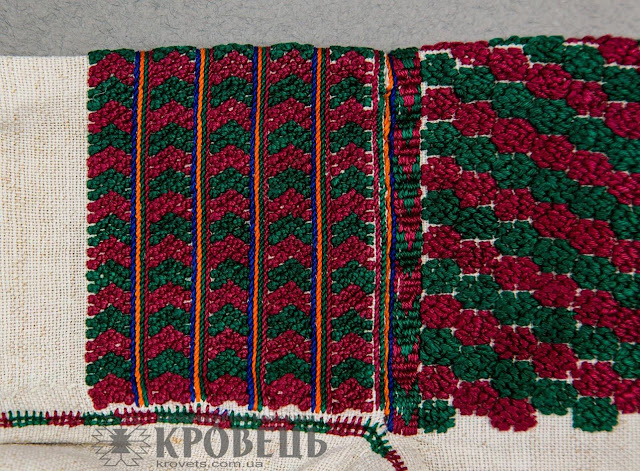 Here it seems that they do embroider a morshchanka band in their own style. 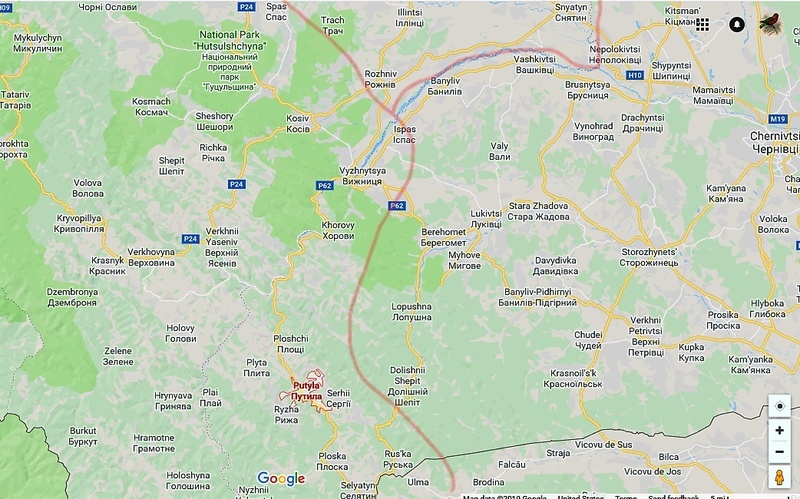 A few more images for which I do not have exact origin, but which must be from this area. Thank you for reading. 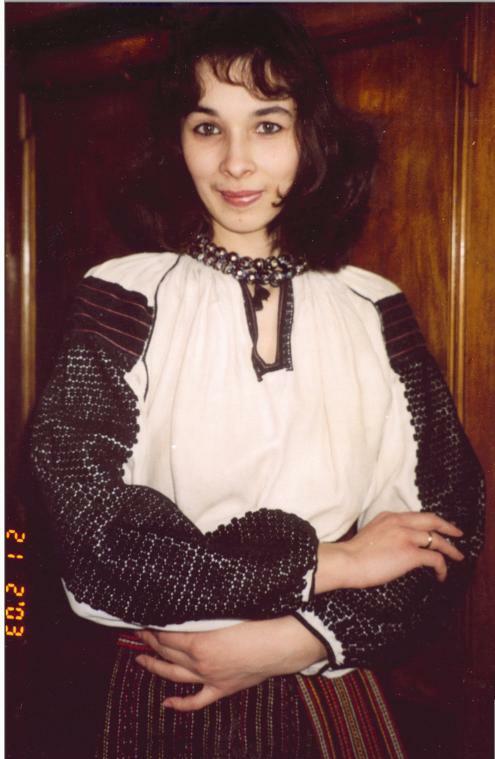 I hope that you have found this to be interesting and informative. Hello Roman, original book of Bukovina embroideries has an extra plate not reproduced in 1974, the original plate 74 is the one missing from the 1974 collection. 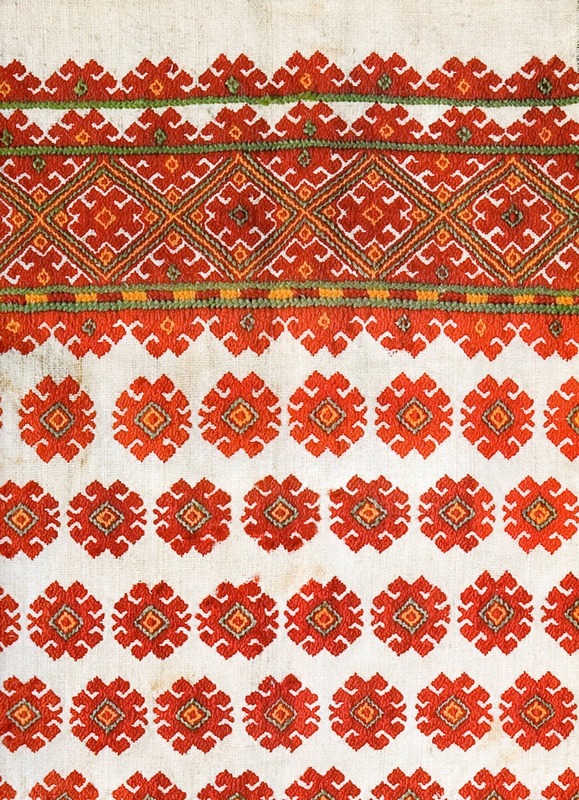 The textures of this embroidery style are very interesting and unique. 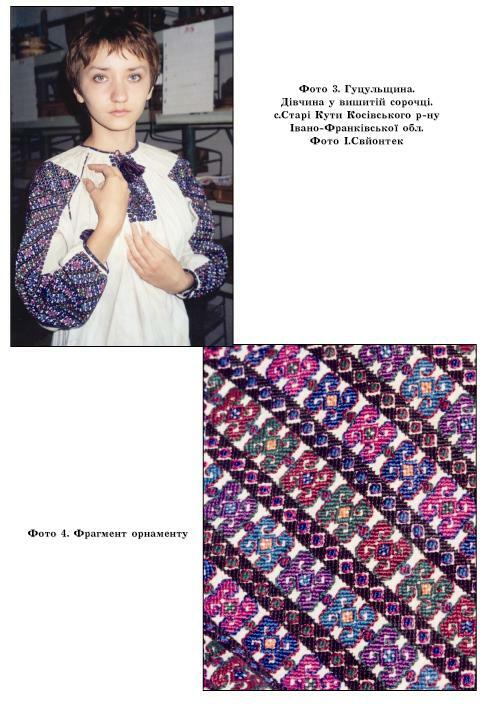 Thank you very much for the thorough research. 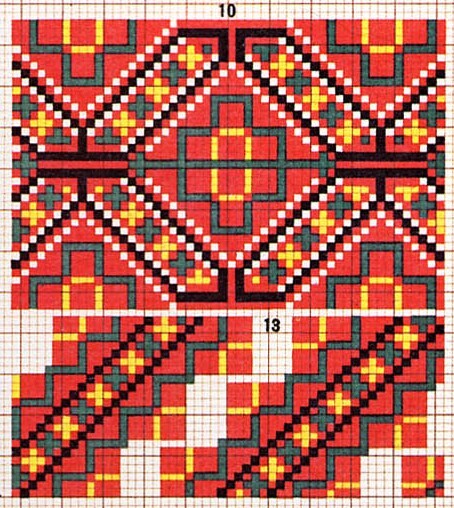 I have been learning from this blog since high school, since I did not get the chance to learn from my grandmother these techniques and styles. 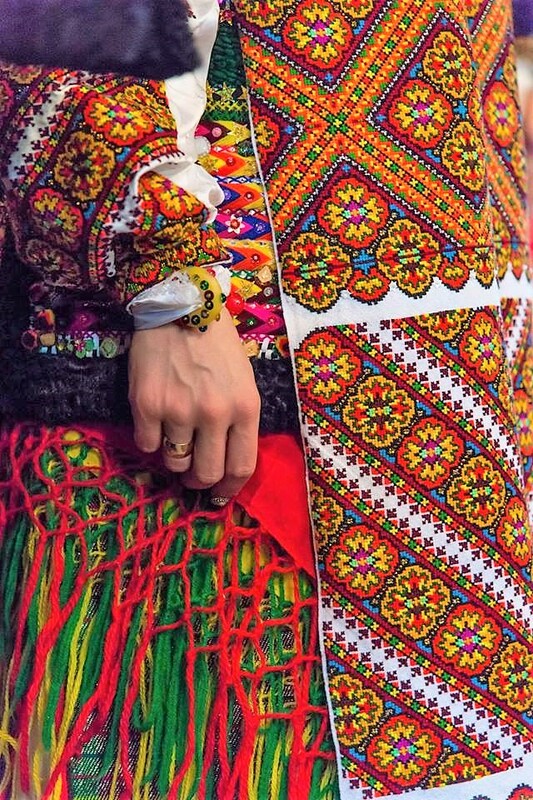 I now wear the things that I have made every day.